The Planeterrella project in Bern, Switzerland, was a joint venture between a grammar school (Gymnasium Lerbermatt) and the Space Research and Planetary Sciences Division at the University of Bern. It was initiated in 2010 by Mathieu Dufour, a student who was looking for a fascinating subject for his thesis required for the school leaving examination. Under the lead of Dr. Ingo Leya, and in close collaboration with the school teachers Dr. Hans Kammer and Mrs. Irma Mgeladze, the University built two copies of Planeterella I. The engineers and the construction team that usually build space experiments were involved in the project. A shared cost plan was established for the items that had to be purchased (e.g. plexiglas vacuum chamber, vacuum pumps). Most of the other parts were manufactured as a learning example by apprentices in the division’s mechanical workshop, and progress of the work was documented in a movie. 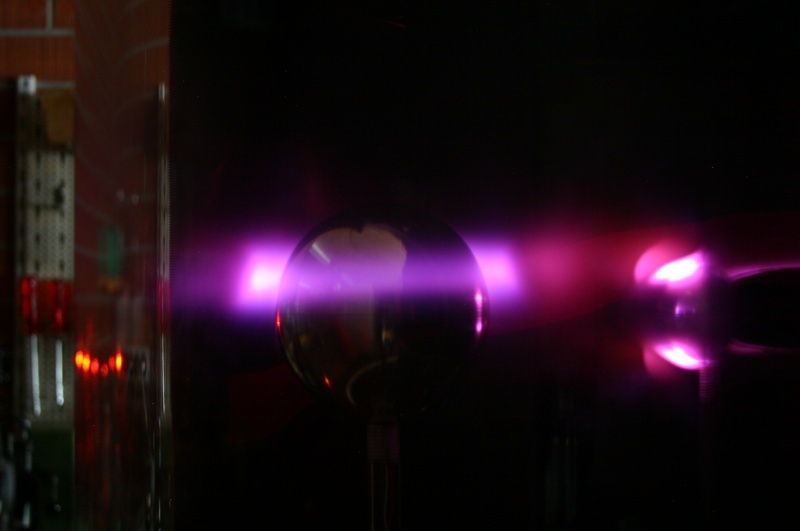 The Planeterrella at the University was a key attraction of the space physics booth during the “Night of Science” in Bern in September 2011, an event intended to bring science and scientists closer to the general public. This event was attended by more than 7000 visitors. 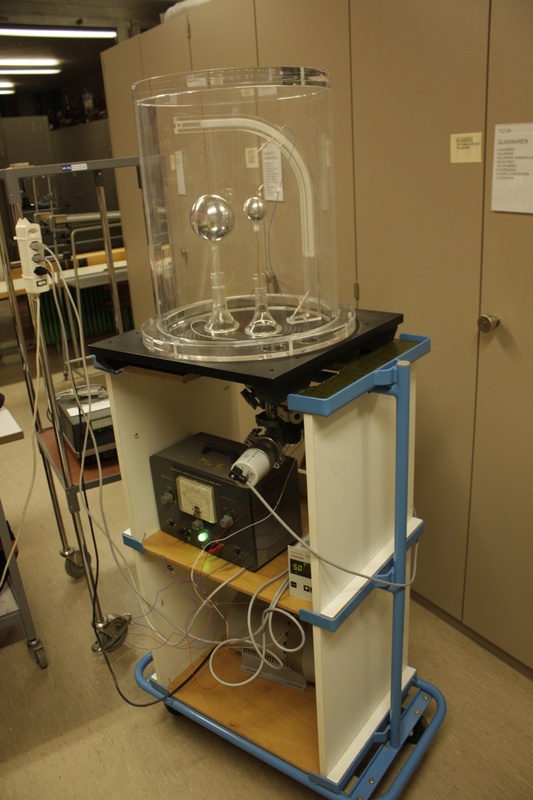 The apparatus is now integrated in the collection of the physics department’s demonstration experiments used in lectures and public outreach activity. With the school version of the Planeterrella, Mathieu Dufour participated in the 2012 Swiss national competition of ’’Schweizer Jugend forscht". For his presentation about “Northern Lights”, he got the “Metrohm special award” and an invitation for the 9th Expo-Sciences Europe 2012 (ESE 2012) in Tula, Russia. Thus, the Bern Planeterella project was extremely successful, and it will continue to be of relevance as a key attraction and demonstration experiment for a broad audience.